Yesterday I recall waxing on about being impressed by icebergs. Big, blue, majestic ... and all that. Well, today I was really gob-smacked. Again, after some extraordinary seamanship from Capt Garcia and his men, we arrived at the port of Ilulissat; a place that could easily be described as Iceberg Central and hub for the UNESCO World Heritage Ice Fjord that bears its name. 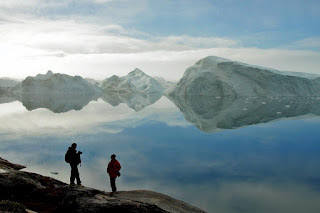 The morning began innocently enough with a hike out across the Sermermiut Valley to an overlook of the bay, choked with massive icebergs. There was a hint of mist, low sun and and mirror-still waters for an hour or so before thicker, nastier fog smothered the magic. But shutters ran hot and the results are captured forever both on digital and organic media. There was time to check out downtown for an hour or so before another hike back to the port where Le Boreal's large, covered tenders were put to good use ferrying us to and fro. Apart from the numerous tour companies encamped near the city centre, there's not a lot else in this town, but I did uncover a museum dedicated to the memory of Knud Rasmussen, an Arctic explorer born in the town. 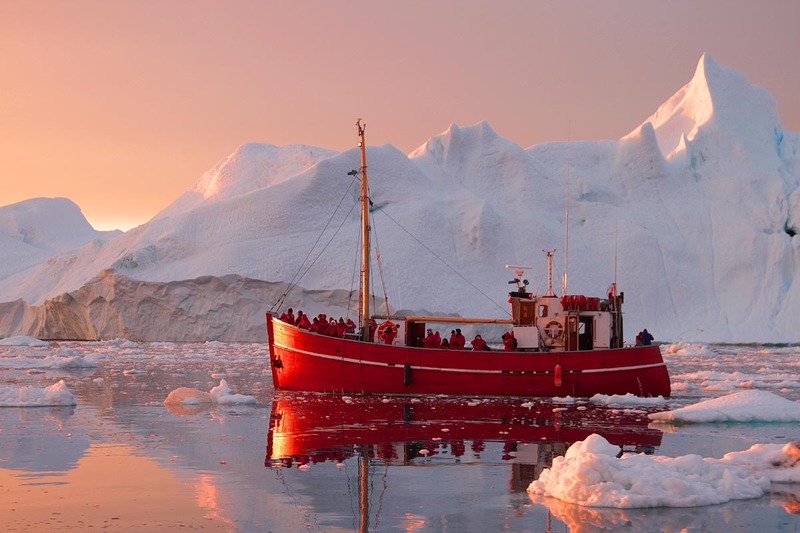 The day's grand finale was reserved for a quaint cruise among the bergs using a motley fleet of local boats, many showing signs of a hard life among the ice floes. Boarding from the marina was a bit of an adventure in itself with one of the larger old vessels refusing to come alongside until coaxed into position by a Zodiac acting as terrier tug. As the flotilla set out into the evening mist, two things quickly dawned on us. One, it was seriously cold despite the last rays of the day and, two, the massive ice sculptures took on an most surreal, other-worldly appearance in the setting sun that even the normally chatty guests were reduced to silence. Our little boats putt-putted around at five knots, playing tag amid the growlers and brash ice and under the towering precipices of centuries old ice that loomed above us. It was a humbling, moving vista and quite likely the highlight for many. The religious few in our group could justifiably boast, "I told you so!"